Jericho Oil: An Oil E&P Company That Underpromises and Overdelivers | Energy and Gold Ltd. In a sector in which overpromising and underdelivering is the norm, when a company does the exact opposite and consistently delivers on what they say they will do it’s time for investors to take notice. Despite being a fairly small oil E&P, Jericho Oil (TSX-V:JCO), has made considerable progress since IPOing about 2 ½ years ago. 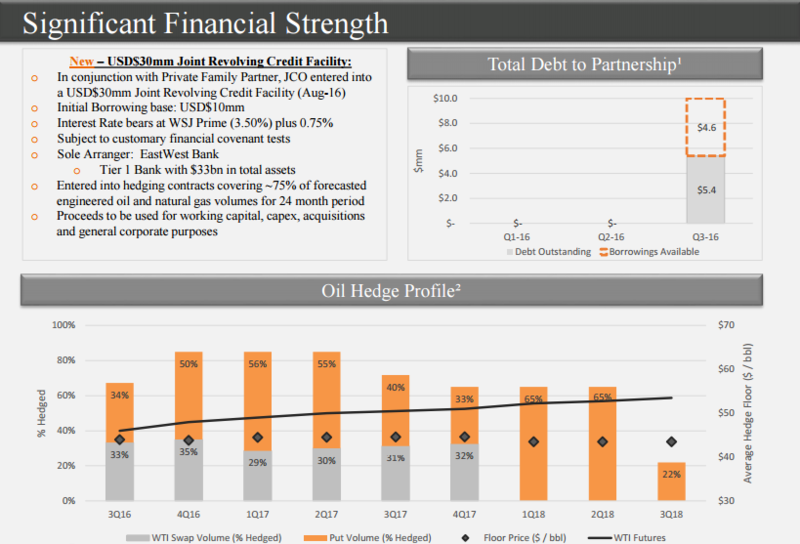 Jericho entered into a USD$30 million Senior Secured Revolving Credit Facility with East West Bancorp at top-tier investment grade terms of prime plus 75 basis points, a rate at which very few oil E&Ps can claim to be able to obtain financing. The size and favorable terms of credit facility speaks to the quality of Jericho’s assets and credibility of its management team and investor base. Average daily production exceeded 350 boe per day in August. Average marginal cost of production of ~$15 per barrel. Jericho has compiled an impressive portfolio of 75,000 acres in its Oklahoma core focus area. Currently diligencing 2-3 additional asset acquisitions. Committed to reaching 1,000 barrels of oil per day of production (net to Jericho) and profitability on a net income basis, perhaps as early as Q1 2017. In order to achieve the last bullet point Adam Rabiner, Jericho’s Director of Corporate Communications, did not hesitate to make it clear that Jericho will need to carry out another accretive acquisition in the near future. The formula for Jericho is pretty simple, for the company to reach profitability either one or both of two things must occur: The company needs to increase its production OR the price of oil must rise. Jericho is focused on increasing production through accretive acquisitions as the oil price is a fairly unpredictable variable over which the company has no control. With that being said, in connection with the East West Facility, Jericho entered into commodity hedging contracts to strengthen and protect its cash flows, while maintaining optimal upside, covering 75% of its forecast engineered oil and natural gas volumes for the term of the Facility. With regard to Jericho’s strategy with respect to the oil price environment Mr. Rabiner was quick to state “at $60/barrel we drill.” Essentially acknowledging that the attractive acquisition environment which currently exists will likely have become much less enticing on a valuation basis with oil at $60. Until then Jericho is on the prowl for its next acquisition which will hopefully vault the company above the 1,000 bpd production milestone. Scott Armstrong: What should investors expect from JCO in the early fall? Allen Wilson: More acquisitions. Right now in this price environment acquisitions are the catalyst. A lot of people agree that carrying out an acquisition strategy in the oil sector right now is a good idea, but I don’t see any other juniors doing it. If you believe in an energy rebound you need to own Jericho this quarter. CEO Technician: That last comment really just hit me. Jericho is at a crucial moment right now, between now and the end of the year. It’s a key spot for you guys to turn the throttle and ramp up production. Allen Wilson: Exactly. My fear is that the window shuts. I found a recent report from HSBC making a long term bullish case for oil to be particularly noteworthy. I think it’s time for investors to be buying the right oil stocks, before we saw another leg higher in the equilibrium price range for oil, and obviously I think Jericho is one of those stocks. According to HSBC 81% of global liquids production is already in decline and as illustrated in the above chart more than 40 million barrels per day of oil production will be lost by 2040. Let’s say we are at 1,000 bpd hypothetically and we’ve got 200 drill targets, with that we can easily go to 3,000-4,000 bpd within our control. That’s the key, that’s why you build a land bank, it’s called optionality. When larger oil E&Ps are forced to increase their production and reserves in the future I think you’re going to see a wave of M&A activity because it’s the only way to do it quickly. What I want to do as CEO is when pricing goes crazy, let’s say it goes from about $25,000 per flowing barrel right now to $75,000 per flowing barrel, I want to have the option not to buy, but to drill targets on my own land. Essentially to be in control, to drill the targets I want on the time frame that I want. We are successfully employing this strategy, the land bank has grown tremendously and it’s showing in our reserves. I’ll also emphasize that the credit facility with East West Bancorp is a vote of confidence in Jericho’s strategy. Call some other oil companies and see if they are able to get 4% money with no equity, no kickers, no other upside. Scott Armstrong: Tell us about the current acquisition climate and what Jericho is looking at in terms of acquisitions? Allen Wilson: We are currently doing our due diligence on 2-3 more assets and the market environment remains favorable in terms of acquiring assets at attractive prices. There is still a lot of leverage, a lot of debt, and a lot of stress out there. We think there are still some good purchases for us out there, we will see, time will tell that. Jericho is executing on a clear and well thought out strategy of acquiring distressed oil & gas assets at attractive prices. CEO Allen Wilson is committed to building a low cost mid-tier oil producer focused on the mid-continent region of the US. So far Jericho is well on its way to growing into Mr. Wilson’s vision. Moreover, the company has consistently ‘kept its word’ with investors in terms of doing what it says it’s going to do in the time frame which it says it’s going to do it. If CEO Allen Wilson is correct the next 3-6 months could be a key turning point for Jericho’s evolution, as the company transitions from tiny mid-continent startup to a 1,000+ barrel per day producer with a formidable land bank. If things play out according to plan Jericho shareholders stand to benefit from a perfect one-two punch of increasing low-cost oil production laid against the backdrop of a rising oil price environment. We are more bullish than ever on Jericho’s prospects. The article is for informational purposes only and is neither a solicitation for the purchase of securities nor an offer of securities. Readers of the article are expressly cautioned to seek the advice of a registered investment advisor and other professional advisors, as applicable, regarding the appropriateness of investing in any securities or any investment strategies, including those discussed above. Jericho Oil Corp. is a high-risk venture stock and not suitable for most investors.. 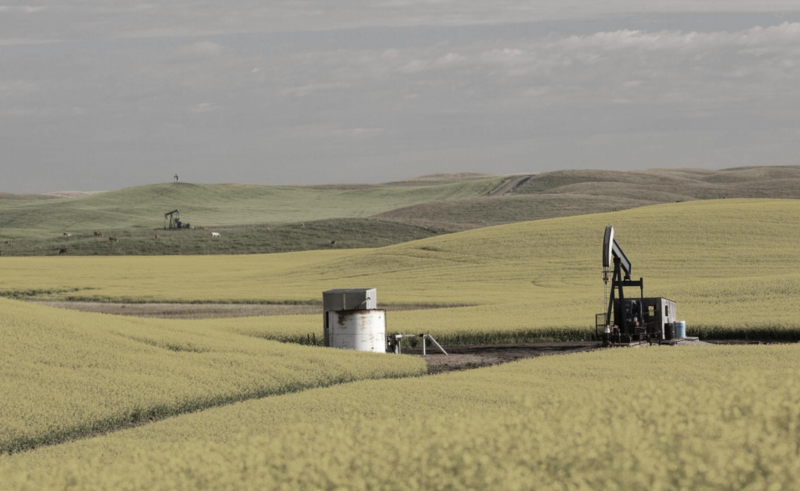 Consult Jericho Oil Corp’s SEDAR profile for important risk disclosures. EnergyandGold has been paid $18,000 to cover Jericho Oil Corp. and so some information may be biased. EnergyandGold.com, EnergyandGold Publishing LTD, its writers and principals are not registered investment advisors and advice you to do your own due diligence with a licensed investment advisor prior to making any investment decisions.